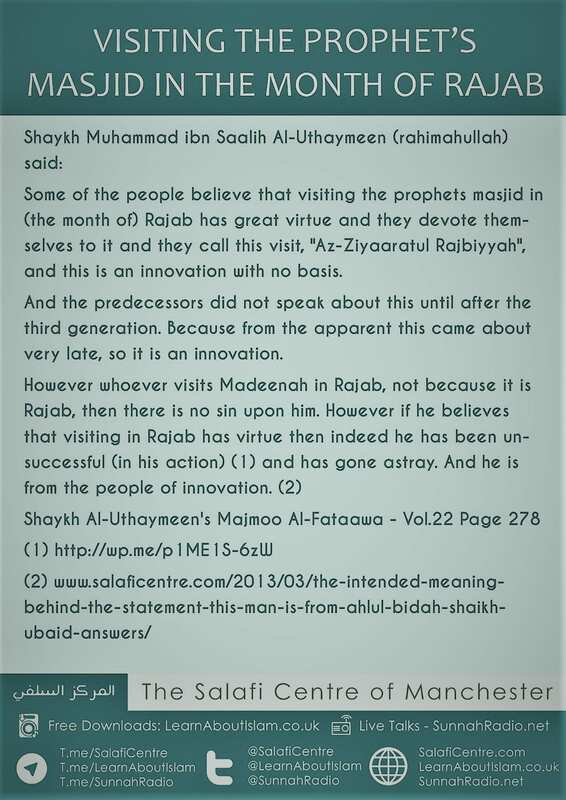 Some of the people believe that visiting the prophets masjid in (the month of) Rajab has great virtue and they devote themselves to it and they call this visit, “Az-Ziyaaratul Rajbiyyah”, and this is an innovation with no basis. And the predecessors did not speak about this until after the third generation. Because from the apparent this came about very late, so it is an innovation.